We will meet, usually our initial meeting will be in a public location, to become acquainted. We will discuss your priorities and decide if I am a good fit as a doula for you. Once you have hired me, we will meet at least once before labor, preferably we can get together multiple times. This allows us to get to know each other better. We will address any fears or concerns you have. I can help you formulate your birth plan, so it truly represents your desires, taking into consideration your unique situation. We will explore your style of coping with pain and fatigue and how you and your partner foresee working together. I can offer you childbirth education as you feel you need it. We can work together on balancing your body to prepare for labor. We can talk exercise, nutrition, diapering, breastfeeding, birth balls & peanut balls; basically anything you may want to discuss pertaining to your birth. You will call me when you think you are in labor, even if you do not yet need me. I will answer questions and make suggestions over the phone or text. We will decide if I should come right then or wait for further change. We will decide where to meet- at your home, the hospital or the birth center. Except for extraordinary circumstances, I will remain with you throughout labor and birth. I will draw upon my professional training, knowledge and experience to provide you emotional support, physical comfort, and help you make informed decisions. I will make suggestions for labor progress, and help with relaxation, soothing touch, and positioning. As your doula, I am working for you, not your caregiver or hospital. I usually remain with you for several hours after the birth of your baby, until you are comfortable and your family is ready for quiet time together. I can help with initial breastfeeding, offering recommendations for proper latch and positioning. In the event that I am not able to successfully help you to get baby to latch on properly, I will recommend a certified lactation consultant. 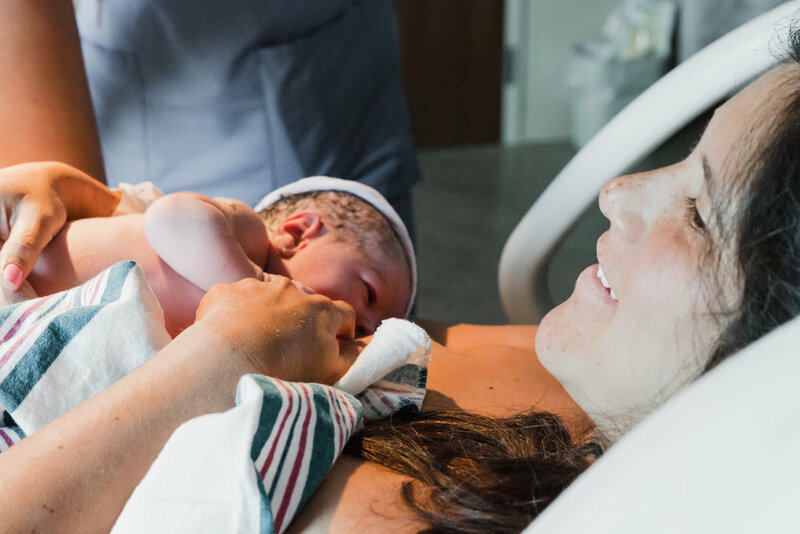 Additionally, I am available to answer any questions about the birth, and if you desire I can provide you with any notes I have taken so you can better tell your birth story. Once you are back at home, I will arrange to visit you within a few weeks to see how you and your baby are adjusting. I can provide you with helpful resources pertaining to your needs, whether it be breastfeeding support, postpartum depression and anxiety or questions pertaining to baby care and self care. I do not perform clinical tasks, such as vaginal exams, fetal heart checks or take your blood pressure. I am there to provide only physical comfort and emotional support. I do not make decisions for you. I assist in gathering information so you can make an informed decision. I will also remind you if there is a departure from your birth plan. I do not speak on your behalf. I can offer you suggestions on how to better communicate with your healthcare team in a positive and constructive manner. *See Marshall Klaus M.D. ; Phyllis Klaus, M.Ed; and John Kennell, M..D. The Doula Book and other studies.